Once Upon a Twilight! : #SanDiego Win Passes Screening to #TheRevenant on 1/6/16! 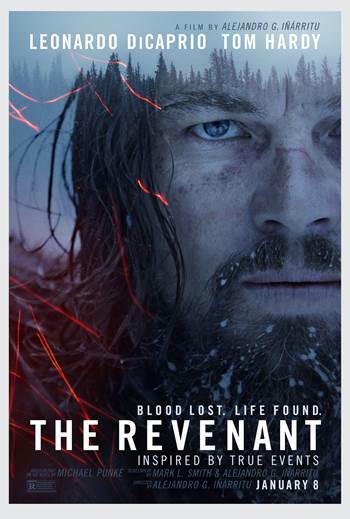 #SanDiego Win Passes Screening to #TheRevenant on 1/6/16! Do you want to see THE REVENANT before it hits theaters? We were provided 25 passes - admit two - to give out to our readers! All you have to do is enter your name & email on the rafflecopter below. This giveaway ends 1/3 12:00 PM. Winners will receive redeem code with screening information. I've heard so many good review about this movie, so I'm really excited! This is going to be one of the best movies of the year. Could be one of the best movies of the year. I've really been looking forward to The Revenant - Leonardo DiCaprio is supposed to give a wonderful performance. I can't wait to see Leonardo DiCaprio in another great role. I want to see this movie and also see Leo win an Oscar. I want to see this movie and see Leo win an Oscar. They filmed this movie using natural light! I can't wait to see it. Time for Leo to get his Oscar. Freaked out to see how this film comes out. Hope it lives up to all the hype!!!!!!!!!!!!!!!!! EXCITED! More than a little bit! This looks sweeeet! I want to go! I really want to see this movie it looks good. I want to see this movie. And to see Leo win an Oscar for it. I want Leo to win an Oscar and I want to see this movie.